It is a dynamic muscle booster and a renowned health tonic indicated for growing children, teens and old age people. ADULT: 1tablespoonful. CHILDREN: 1 teaspoonful thrice a day or as directed by physician. 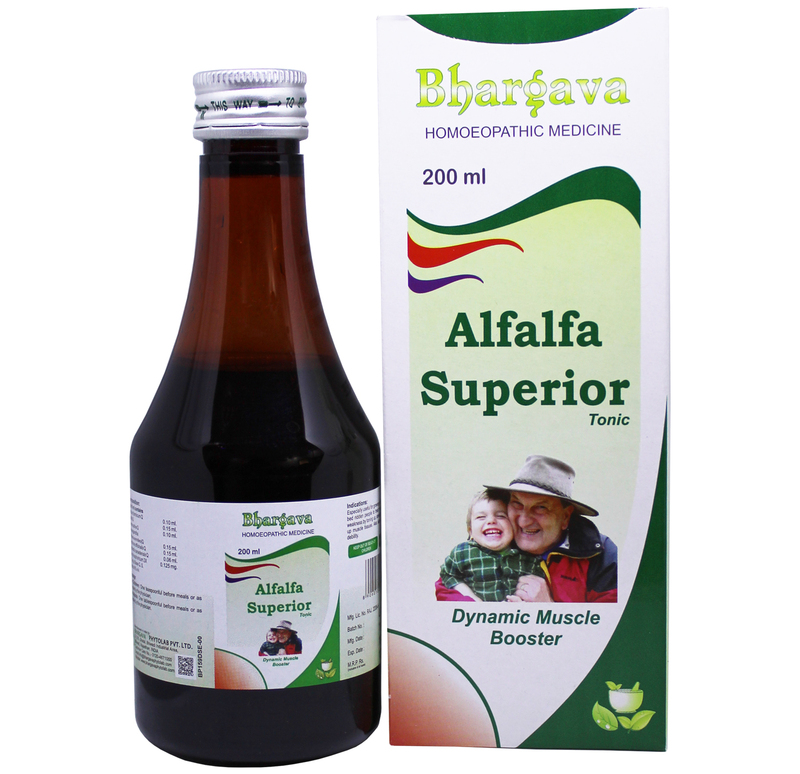 Doctor Bhargava Alfalfa Superior Tonic is a result of techniques perfected over 100 years of practice. It is especially useful in muscular weakness by supplementing the deficient proteins and metabolism of proteins. It is also helpful for the growth of growing children. Start taking Homeopathic medicine today and get the best treatment.